Parents, please talk to your children about the effects of drinking soda pop. Limit the serving size and the frequency of pop and sugary drinks your child or teen consumes. This is especially true for children wearing braces or orthodontic appliances. Encourage healthy alternatives such as water, and milk (including chocolate )Offer these drinks as a treat preferably at mealtime. This provides some protection because when food is eaten saliva is produced which helps rinse the teeth. Children should not sip for extended periods of time. Have them use a straw to help keep the sugar away from their teeth. This also applies to juices. After drinking, have your child swish his mouth out with water to dilute the sugar. 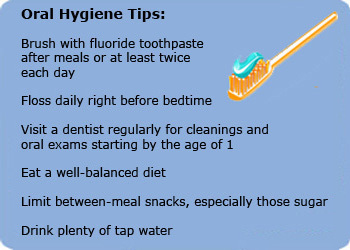 Children should not drink pop, juice, sport drinks or milk before bed without brushing their teeth. The liquid pools in their mouth and coats their tongue and teeth with sugar and acid. Only drink water after brushing. Children should brush morning and night with toothpaste for atleast 2 minutes. Consider using a battery operated toothbrush, especially for children wearing braces. Make sure your child visits us twice a year for their hygiene check-up visits and to stay up date with Dr.Shah and Dr.O’Riordan’s recommendations at Kids Smiles Pediatric Dentistry.